I know that zander isn’t a fish that, at least in the UK, many people are familiar with. A predator, it’s being pursued by anglers mostly for sport. But these days zander is considered to be a pest in the British waters, and those that catch it are obliged to either take it home (and hopefully eat it – this is a great recipe of oven baked zander), or throw it away. Releasing the fish back into the water is actually an offence that carries a hefty penalty. A close relative to pike, the zander has less bones, the meat is firmer and doesn’t flake that much it is also sweeter and much better eating. A favourite across Eastern Europe and Balkans as far as the fresh water predators go. You’ll find zander in many restaurants on the menu, but usually just deep (or shallow) fried in batter, sometimes in crispy breadcrumbs. Zander is impossible to find in some countries. 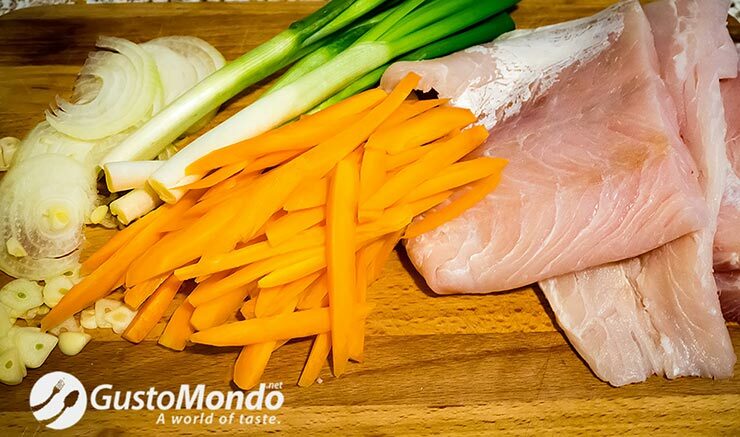 Therefore you can substitute it with a different type of white fish, the best being hake or cod. This recipe could be seen as complicated by some that haven’t got the experience, but just follow the simple steps and you’ll get something great at the end. Thinly cut the carrot into match sticks. Slice the onion and the garlic. Keep the spring onions whole, but snap a few green leafs of the top for garnish. Spread a bit of softened butter on the bottom of an aluminium foil. 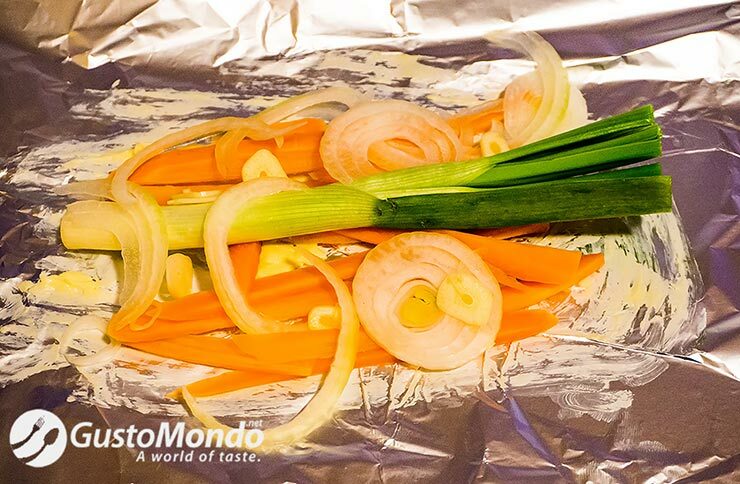 Make a bed of vegetables with a bit of onion, garlic, carrot and a whole spring onion. You could of course use some other vegetables if you wish, such as fennel, marrow or parsnip. 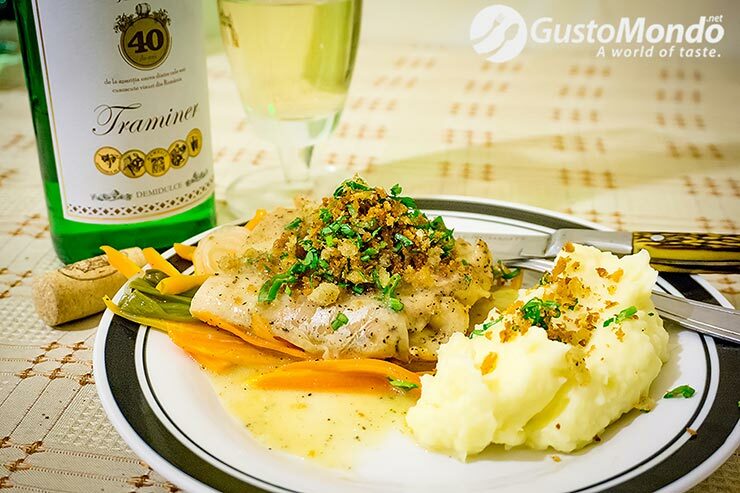 Place the fillet of fish over the vegetables and top with a knob of butter. Season to taste with salt and pepper. 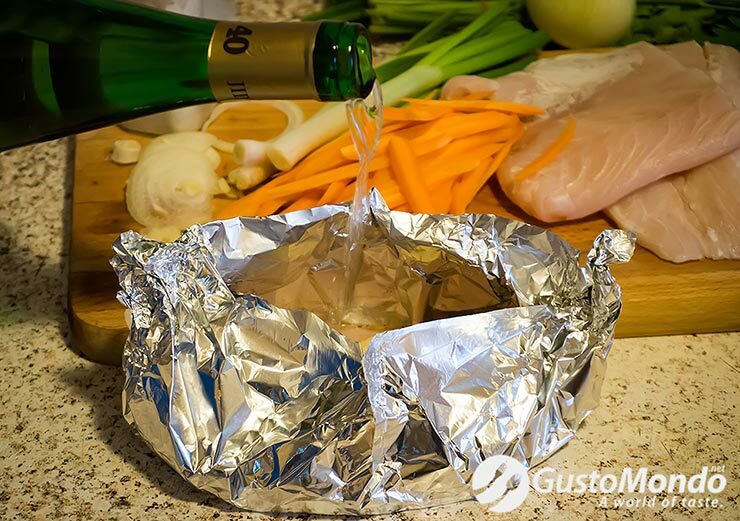 Carefully lift the aluminium foil at both ends and close, forming something that will resemble a small boat. Try not to tear or pierce the foil. Pour in about 50 ml of wine per portion. I used a white Traminer, but any white wine, such as Chardonnay, Riesling, etc, will do. Completely close and seal the pouches and place into a preheated oven at 180C. Bake for 12 minutes. Whilst the fish is baking, prepare the crust. 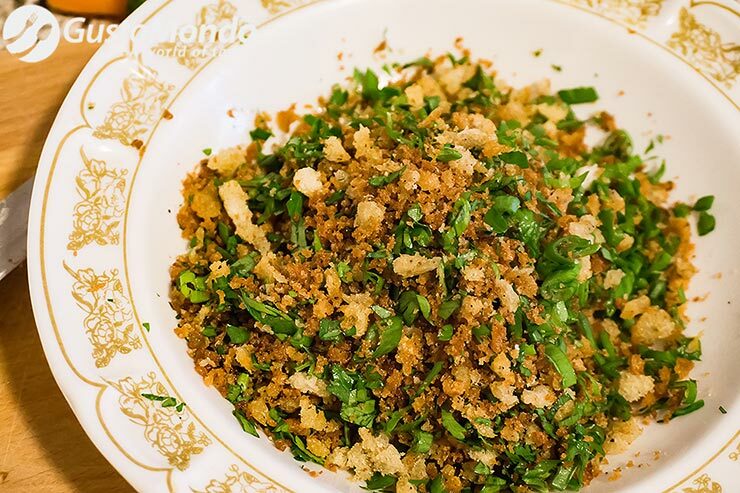 Using white (older, stale bread is best) bread, make some breadcrumbs. Either by hand, or using a food processor. They don’t need to be all even, or a certain size, coarser is fine. 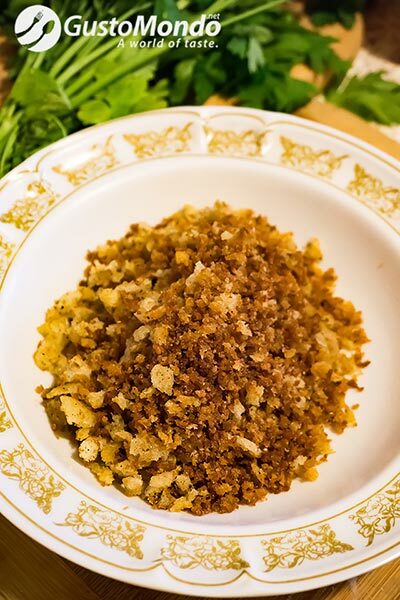 Heat some olive oil into a pan and add the breadcrumbs. Fry over medium heat until you get a nice brown, caramelised colour. Once done let the breadcrumbs cool down. Finely chop the parsley and the spring onion leaves you kept aside at the beginning. Once the breadcrumbs are cold, mix them together and this is the crust for the fish. 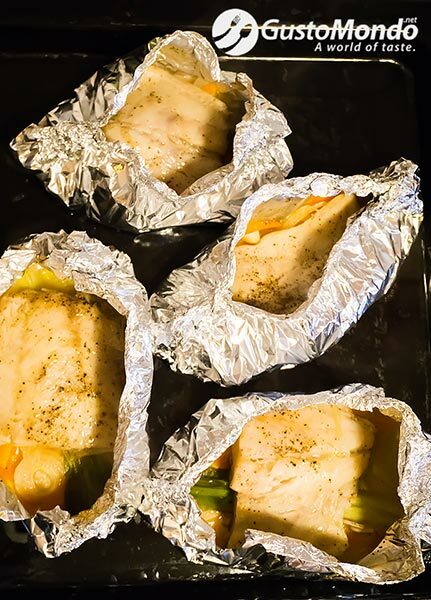 Now that the fish has baked, remove from the oven. Carefully, try not to burn yourself at all, open the parcels of fish to let the steam escape. Should you with you could serve the oven baked zander as it is, in the pouches there is a lovely white wine sauce already made. Just top with some crumbs. Or, you could enrich the sauce further. How? Remove the fish and the vegetables from the pouches. Keep warm. Drain all the liquid that’s there into a small sauce pan or frying pan. Pour in extra 50 ml of white wine and bring to a gentle simmer. 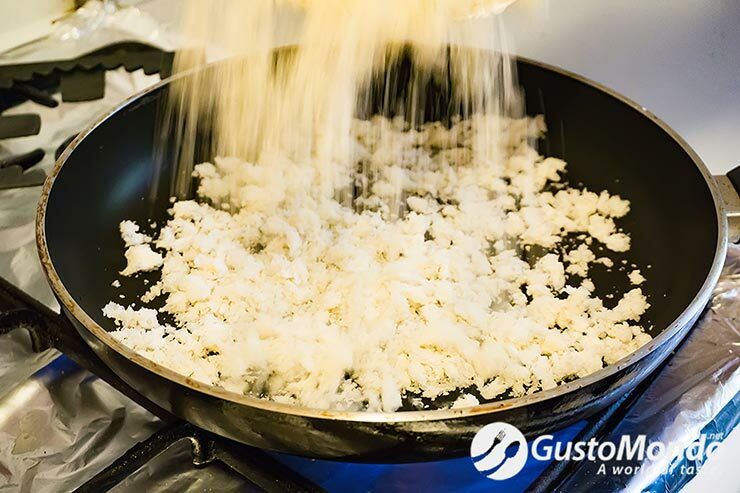 Once simmering, add the cold butter, piece by piece, stirring the sauce constantly until the butter melts and the sauce gets silkier, smoother and thicker. Serve whatever you fancy as a garnish. Mash potatoes, celeriac mash or beluga lentils work great with this dish. 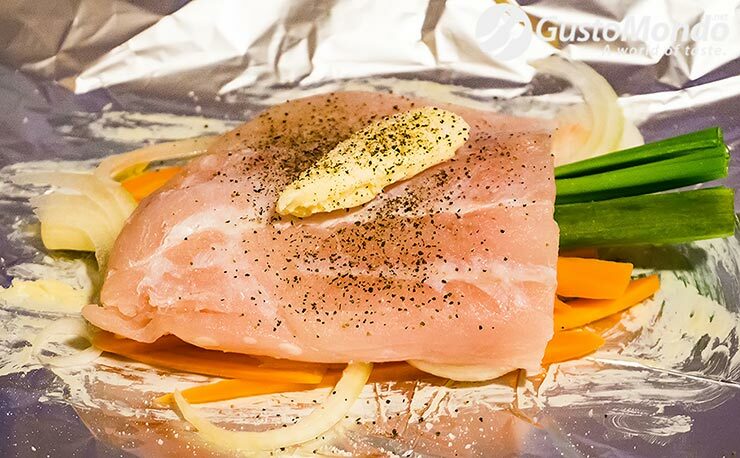 Place the fish on the bed of vegetables and top with the crust that gives it great texture and an extra layer of flavour. Beer sauce prawns. Shrimps in beer sauce. Danube delta fish soup. Fisherman’s soup. 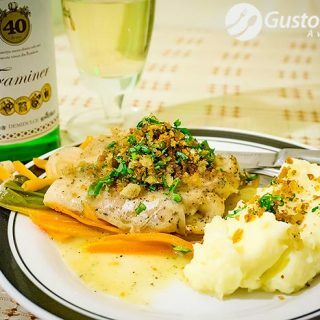 « Easy pork goulash recipe with special dumplings. Video included.